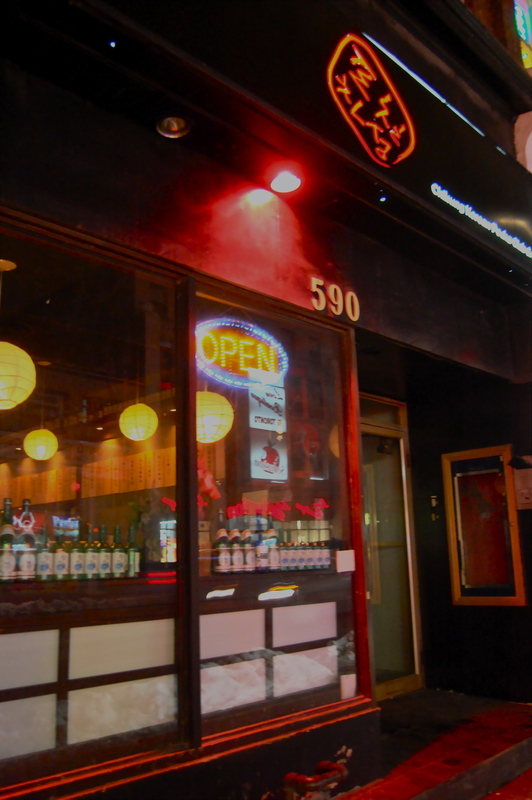 If you are a Canadian living in downtown Toronto, you’ve probably been to an Izakaya – a Japanese “bar”. Today, I’d like to introduce you guys to a Korean “Izakaya” or more authentically speaking – Pojangmacha – that I came across while exploring the winter Toronto. Pojangmacha is not very known in comparison to Izakaya, so let me give you guys a brief background. *updated April 2013: The ending scene of Psy’s Gentleman music video (the scene where he puts on rice cake around his neck like a scarf and dances/ ga-in eats fish cake in a suggestive manner) is in a generic Korean outdoor pojangmacha! 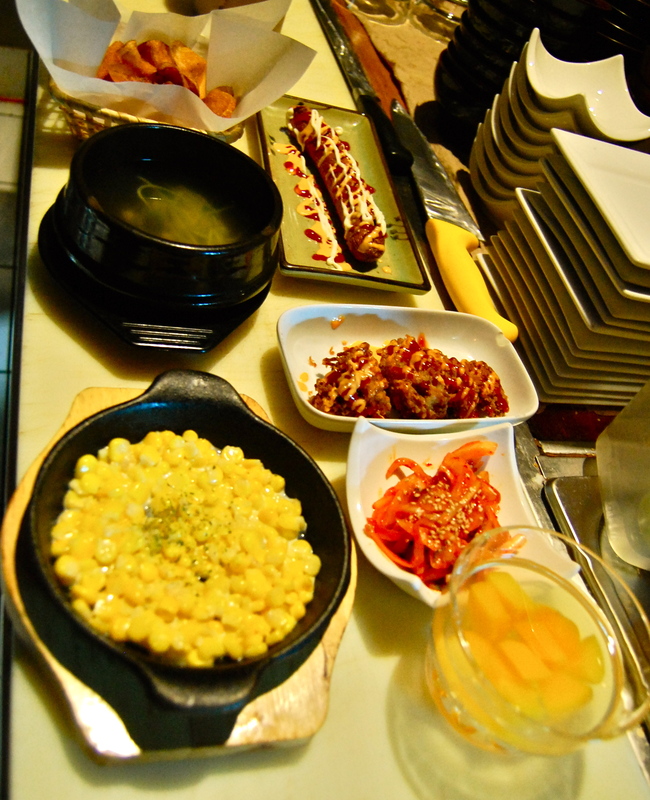 Pojangmacha, now more often referred to as Pocha, is basically a Korean version of izakaya. Like izakaya, pocha started out as “tented restaurants on wheels” which sold common Korean street foods such as kimbab, spicy rice cake, fishcakes etc. This cute little idea first made its debut in Korea during the 1950s. 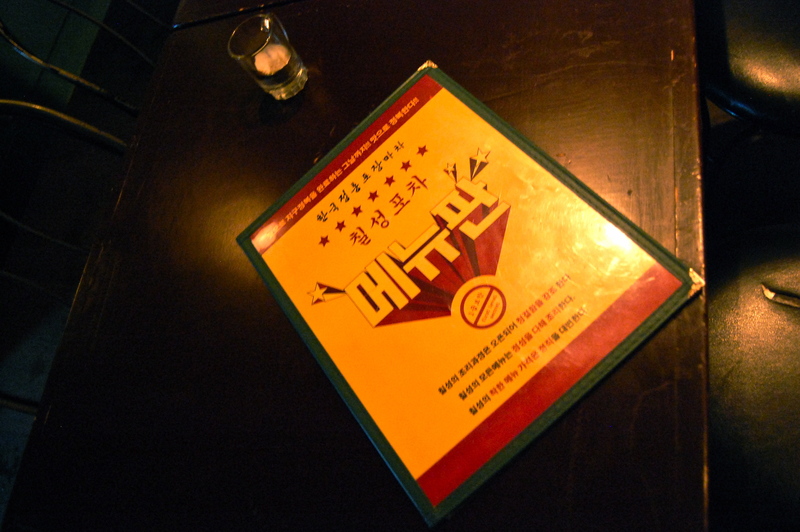 Back then, the only menu available were roasted sparrow and soju (Korean staple alcohol). Pocha hit a recession during the 1980s as the government – expecting an influx of foreigners during the 1986 Asian Games and the 1988 Olympics – enforced strict regulations on street food vendors. It quickly made its return with the currency crisis that plummeted Korea’s economy in 1997 ; Hundreds of business men whom lost their jobs found themselves drinking away in pocha, as it was a place that took them back to the “good old days” at a bargain. 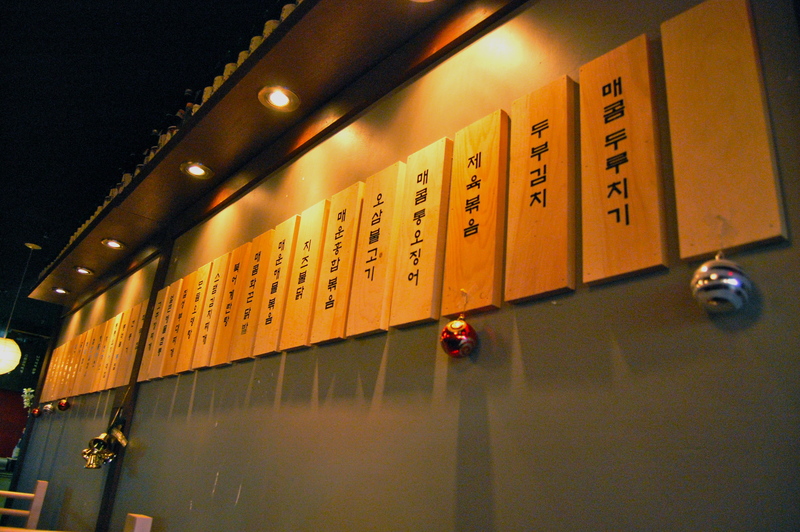 Since then, pocha became an important part of Korea’s drinking culture, though it evolved with time. 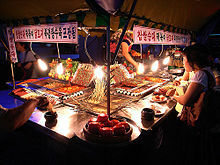 If you visit Korea today, an indoor pocha (Silnae Pocha) is way more common than the traditional tented pochas. Unlike the traditional tented pochas, indoor pochas have an actual kitchen, tables, and a bathroom! The basic idea of indoor pochas are that they are as comforting, casual, and cheap as the traditional tented restaurants on wheels, but regulated, clean, and indoors. There is an abundance of indoor pocha in Korea, and I remember fondly of the good times I had smearing hot sauce all over my face while trying to munch off the chewy meat of chicken claws at Hanshin Pocha (apparently one of the most famous chain Pocha in Korea). 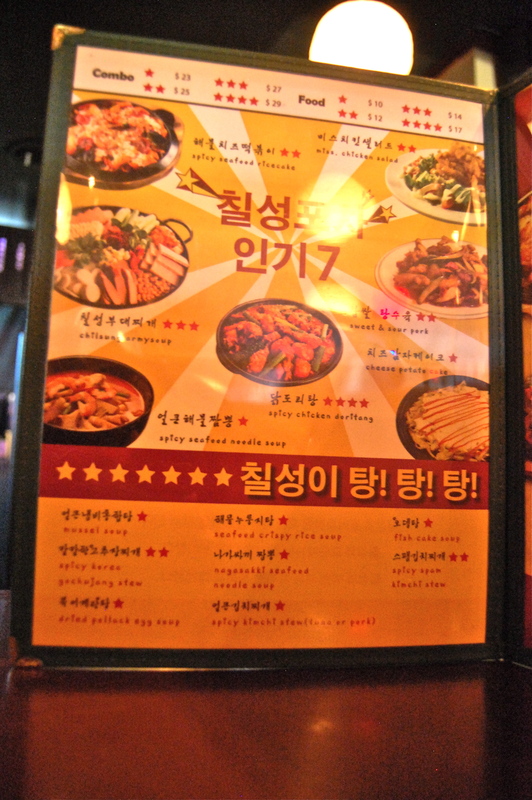 So when I came across 7-star Pocha near Yonge and Wellesley, I was exhilarated! Finally a Korean izakaya in downtown Toronto (that doesn’t have sushi on their menu). Through a short interview with the owner, I learned that the unique and artsy interior of the store was inspired by the 1970s Korea. 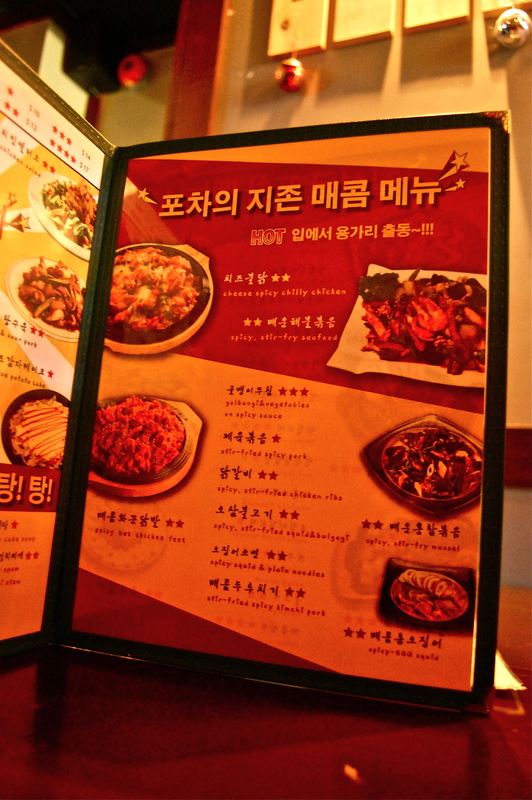 All the Korean may make you dizzy, but not to worry – the menu is luckily translated in English, though in tiny small letters. The store is decorated with a series of old movie posters (some R rated – beware) from the 60s and 70s. 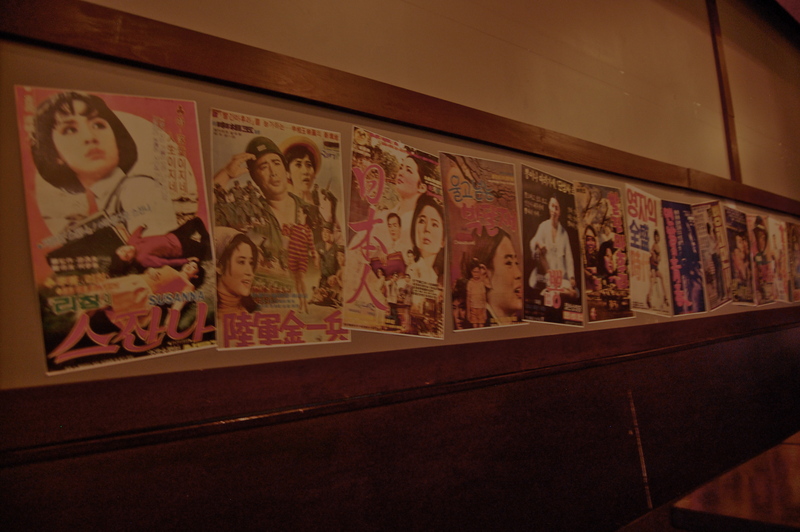 For instance, there is a poster of the legendary adult movie “Ppong” (Mulberry). 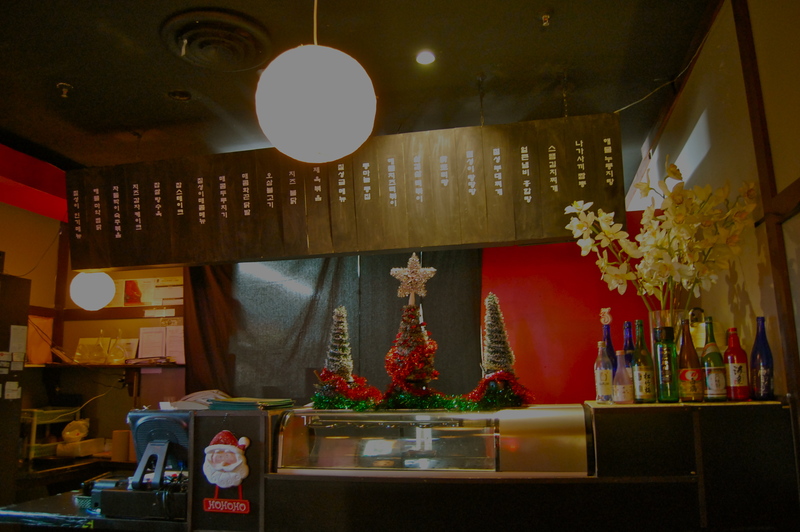 I liked how the menu was legible, colorful, artsy, and had large photos of the dishes. However, I did find it a bit confusing initially and had to ask the waitress to explain it to me. The star next to the menu represents the price (More stars = more money). Many of the dishes are spicy, but you can ask them to make it hotter or less hot depending on your spice tolerance. 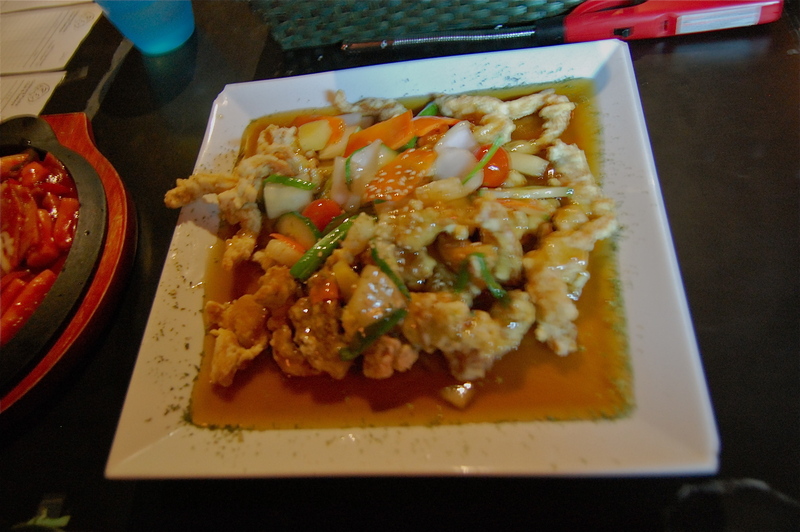 So I ordered Spicy Seafood Ricecake and…. These are the side dishes that came with the combo. The food was delicious, service pleasant, atmosphere unique. The rice-cake may look scary with all the red sauce glaring at you, but it really wasn’t too hot. I kind of wish I had asked them to make it more spicy. One thing I would comment on is that the store is a bit small, and it easily gets very loud and crowded. I sort of accidentally eavesdropped on the conversation next to me for the entire 2 hours I was there. Oops! 2) Turn right! You’ll see Starbucks. Cross the road. So, If you want to experience a bit of authentic Korean indoor Pojangmacha, but are too poor/frugal to go to Korea (or even Finch! Token prices are on the rise! ), why not drop by 7-star Pochjangmacha? Awesome! Can’t wait to try this place out. Thanks! Totally want to go! What is the price range for a set? yes it is open on weekdays !! Hey! I really want to visit this place this weekend. Do you know their hours of operation? Are they open on Sundays? Aaaand do they have a contact number? I can’t seem to find their info anywhere!